Toronto movers had prepared 11 tricks and cool suggestions that might ease your moving. 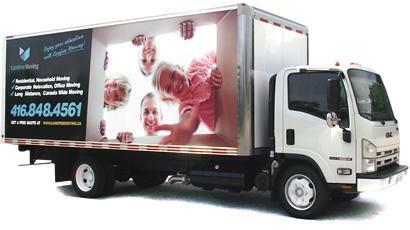 If you hold on idea to do your moving by yourself, then load your bedroom' s furniture inside the truck last. In this way you will unload it first and you will have your bedrooms done first. During unloading someone could assemble your furniture on the spot to not lose the tome, so you could sleep that night in your own bed in your new house.. Some Toronto movers' tips for packing your bathroom. We find it easier and much comfortable to place your towels, soaps and shampoos, toilet paper and so on in laundry baskets. In this way you will have less digging for something you might need after your moving is done. Will be much more easier to pack you first priority items in clear bins, so you could see through what you are looking for (like cell chargers, paper towels, tools etc.). If it is possible to enter your new property a day before your moving - try to clean your new house, especially bathrooms and kitchen. Take a picture showing how your electronics been connected. Where does wires go. It is always handy! Try to get rid of stuff that doesn't go with you, like plants, food, alcohol, toys, clothes or maybe fish from your aquarium! You could sell, donate or just give them as a gift! In case you are leasing, take pictures of your cleaned-out old residence. Another trick from Toronto movers is to fill up the nail gaps in the home you are leaving now with a soap bar. It will help to make them invisible. If you move within same city you would better hire a baby sitter for your kids and pets. It will be less stress for everyone! . Don't forget to thaw your fridge a minimum of one day prior to moving and clean it up! Toronto movers wishes you very best at your new place!